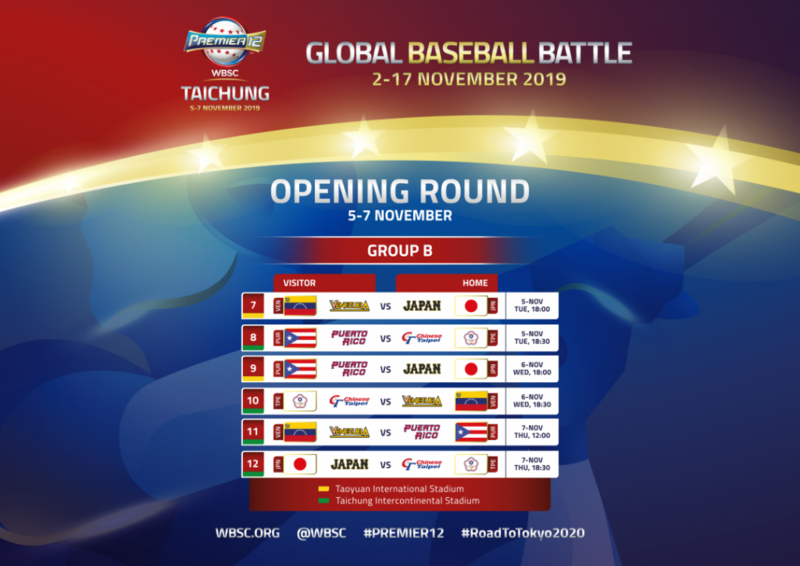 TAICHUNG, Chinese Taipei – The World Baseball Softball Confederation (WBSC) today unveiled the game schedules for Groups A and B of the 2019 WBSC Premier12® and released the official promotional video for the year’s biggest international baseball event and qualifier for the Tokyo 2020 Olympic Games. The full opening round schedule of the 2019 Premier12 consists of a total of 18 games – 6 games per group. The top two teams from each group will advance to Japan to compete in the Super Round from 11-16 November at Chiba’s ZOZO Marine Stadium and the Tokyo Dome, with the Finals to be played on 17 November at the Tokyo Dome. The official promotional video – Is Your Country Ready II – was unveiled to great acclaim in Taichung, exciting players and fans around the world.